March was good. No, wait. March was excellent. This month contained a read-a-long, an amazing graphic novel, a fascinating look at language, an essay on feminism, and the most beautifully brutal novel I've ever read. I don't know how any month will ever be able to compare. My favorite book of the month was A Little Life. It's almost impossible to discuss because of the flailing, teeth gnashing, and garment rending that happens whenever I think of it. We will give it a try on The Socratic Salon in late April. That's a discussion you won't want to miss. How was your reading in March? Do you have a favorite book of the month? Wow, sounds like a great month! My favorite book from March was Prodigal Summer by Barbara Kingsolver. The rest of what I read was kind of meh, unfortunately. Here's hoping April is more satisfying! I'm almost positive that I read Prodigal Summer...I'm going to have to look it up to be sure. :D I hope you have a much better April! I don't think I can handle A Little Life. My teeth already gnash far too often. I'm feeling the same way about that one! I'm not going to lie: It's a tough one. I felt exhausted at the end. Wiped out. But omg, so worth it. Jennifer, I really enjoyed Station Eleven; I think my favorite book in March was Smoke by Meili Cady (nonfiction). 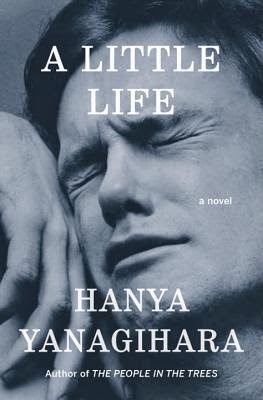 You gals have me totally conflicted about A Little Life; I want to be able to participate in the discussion, but I have no idea what to expect from this book! GAH! Y'all are killing me! Great roundup for the month! Station Eleven I read too, and while I liked it, I like The Singer's Gun by Emily St. John Mandel better. You did good though for books! LOVE that name for your cat, lol. That's perfect. I hope you have a great April too, thanks! You had some great books this month - A Little Life and Station 11 in one month? Lucky you! I'll definitely be there for the Salon's discussion on that one. Also - I sampled the very first bit of Mosquitoland yesterday and love the writing...I'll be reading that one in the near future (mostly thanks to your daughter's review). No joke, it was a great month! Station Eleven was my 2nd favorite and in any other month it would have been my favorite but A Little Life knocks everything else out of the running. Woo, great month! I hope you keep up the streak in April! You and me both, chica! :D I hope you do too! Love your Pet Sematary cover! Right? It's my favorite one out there. Creeptastic! I loved March too! My favorite book of the month was probably Our Endless Numbered Days. I WOULD say A Little Life, but I'm still not finished yet. Oops. I have yet to make time for Endless Numbered Days but I will. SOON. I keep hearing such good things!